Parkhill takes its name from Lyndhurst Old Park, a deer park established more than 700 years ago. Yet whilst located in an isolated position 2.5 kilometres (1½ miles) south-east of Lyndhurst, Parkhill has a long history of habitation. The late-18th century Richardson, King and Driver map of the New Forest shows Pond Head Farm on the site, occupying land granted by lease from the Crown, but by 1781 it is thought that a separate house was also present. Used in the first half of the 19th century by a Mr. Sturgeon, this modestly proportioned property was rather dismissively described as: ‘very small…with just a drawing room and dining room’. But the Sturgeons were not a conventional family of the time, for Mr. Sturgeon’s mother, a Lady, no less, married her footman and dropped her title, whilst on Mr. Sturgeon’s death, the house passed into the hands of one of his servant’s sons, a man named Tate, who farmed the fields and often let the house. By 1855, however, the house or tenant, Lindesay Shedden, Esq., was of sufficient stature to be included amongst directory lists of local dignitaries. Tate eventually sold in 1857 to Captain William Morant, keeper for a number of seasons of the New Forest Hounds, who considerably enlarged the property and is said to have ‘made a nice house of it’. By the time of the 1870s Ordnance Survey map, Parkhill had replaced Pond Head Farm on the site. Pondhead Farm is shown in its current, nearby location, close to Parkhill Lawn, replacing properties that Richardson, King and Driver marked as incroachments on the Forest, that is, land occupied without the consent of the authorities. 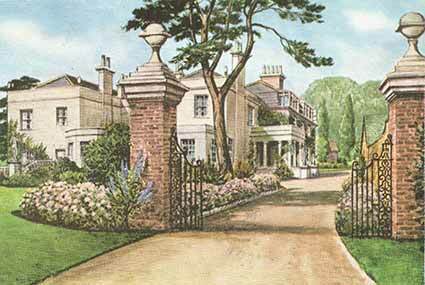 In 1877, William Morant sold the place to Mr. Smith H. Wright, who first let and then sold it to Mr. Willingham Franklin Rawnsley. Mr. Rawnsley’s wife, Mrs. Willingham Rawnsley – in the custom of the time, she used her husband’s name - immortalised the area around Parkhill in a 1904 book detailing the local flora and fauna. Much remains as then, including nightjars that still in mid-summer hunt along the nearby woodland rides. 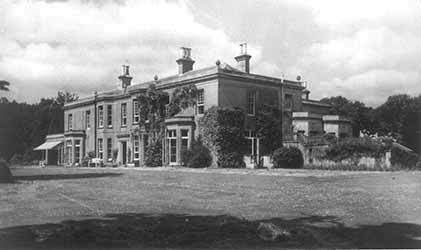 The Rawnsleys left in around 1902, but the school continued for a further 18 years, managed by a Mr. Ridout. Private use followed, and in the 1920s considerable further improvements were undertaken by the owner, Sir Stephen Leach. The house eventually became a hotel and restaurant, although during the Second World War it was requisitioned for use by the Hampshire Fire Service and for ‘D’ Day planning. Refurbishment, re-building and the addition of substantial new facilities has been completed in recent years and the complex, now called Lime Wood, operates as a 'boutique country house hotel'. For many years, the main access route to Parkhill was along a driveway leading from Beechen Lane, a track running off the A337 Lyndhurst to Brockenhurst road. Now, however, the main way in is from the Beaulieu Road; and the track from Beechen Lane is given over to walkers. For occasional short stretches, though, the old road surface pushes through encroaching vegetation, bearing testimony to previous generations of travellers.